Church’s Chicken is a quick dining franchise that specializes in serving fried chicken with all the sides, like mashed potatoes, corn, and biscuits. They pride themselves in hand-battering every piece of chicken in small batches all day long: spicy, original, boneless wings, and tenders. And it all started in 1952. Church’s Chicken application link is located at the bottom. As one of the largest chicken restaurants in the world, Church’s chicken values real high-quality comfort food that tastes great and makes a difference in peoples’ lives. For over 60 years, each Church’s Chicken franchise has taken pride in its hardworking employees whose goal is growth and who find their greatest enjoyment in serving others. 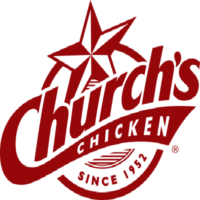 In 1952, George W. Church, Sr. opened the first Church’s Chicken called Church’s Fried Chicken-To-Go in downtown San Antonio right across from the Alamo. In the 1960s they became a publically held company and opened their National Headquarters complex also in San Antonio, Texas. Later, AFC, becomes the new parent company of Church’s Chicken and moves headquarters to Atlanta, Georgia. Passionate about chicken and about people, Church’s claims that they treat each employee with respect and encourage each person in their individual strengths. They are proud to be an equal opportunity employer and strive to give each team member the chance to grow and succeed to their best of their ability. From 100 locations in the 1960s to over 1,660 today in 27 countries, Church’s Chicken now exceeds $1,000,000,000 in sales every year as a private company. What started with fried chicken and jalapenos, the menu has evolved to now serve entree choices, such as sandwiches, nuggets, tacos and a spicy version of their famous chicken. Job opportunities at franchise locations are available nationwide. But Church’s Chicken careers available to you will depend on your location and education and experience level. Franchise positions may include, but are not limited to, Crew Member, Maintenance Person, Assistant Manager, and Restaurant General Manager. It is recommended that candidates apply in person using a printable application form and delivering it via direct application. A career at Church’s Chicken headquarters will range from Finance to Human Resources to Brand Manager and more. Check their website to see what departments are hiring and find all job opportunities then complete an online free application or a printable application form. These positions will look for candidates with a strong resume and will offer a strong salary and full benefits. How old do you have to be to work at Church’s Chicken? You must be at least 18 years of age to work at local franchises as well as at corporate. But requirements go far beyond age, so download application form and make sure you meet all qualifications before you apply for jobs at Church’s Chicken. A benefits program is offered to qualified employees that include medical, dental, vision, life insurance, prescription drug plan, paid vacations, 401k, short- and long-term disability, flexible spending accounts, identity theft protection insurance, employee assistance programs and more. Depending on position, some of these may not be available to you. For example, at some locations crew members do not get to eat free but managers do. At corporate headquarters the hours of operations are unclear but are most likely typical business hours like Monday thru Friday, 8:00 a.m. to 9:00 p.m. and possibly closed Saturday and Sunday. Franchise locations are open every day from 10:30 a.m. to 10:00 p.m. Check online for hours and all the Church’s Chicken jobs online and begin to apply online. Shift Leader – Shift Leaders are responsible for developing and training team members in customer service. They will oversee operation of the restaurant, quality control, administrative work, deposits and more. Applicants must have strong communication and leadership skills, have a valid driver’s license, and be in possession of a vehicle. Scheduling flexibility is a must. Applicants should expect about $8.50 per hour with the possibility for more with experience. Cook – The Cook’s responsibilities will mainly be in food preparation and cooking. They will also need to be able to operate, clean and maintain the equipment. Applicants will possess good communication skills and be physically capable of lifting 35-75 pounds and be able to stand for up to eight hours. An entry-level cook should expect about $8.00 per hour. Product Prep Team Member – This team member will need to make sure the service area is supplied with the right amount of product. They will need a watchful and organized eye to execute the production schedule, check stock supplies and maintain product rotation. The best applicant will have good communication skills, be able to stand for eight hours and lift up to 50 pounds. Expect compensation at $8.00 per hour. Market Leader – This corporate role is responsible for the business results of their assigned market. They will need to maintain a firm grasp on financial data, expenses, marketing, and customer service; and then properly select and train store managers with this information. A Bachelor’s Degree in business or related industry or equivalent experience is preferred with at least three years in restaurant management. Applicants should be compensated approximately $68,000 annually. Senior Manager, Brand Activation – In this corporate role, the top priority will be to ensure that promotions are seamless within the master marketing schedule. The position is responsible for developing and executing promotions and effective merchandising under the direction and in partnership with the Vice President of Marketing. Candidates seeking employment should have a Bachelor’s Degree and three years of experience and can expect about $48,000 annually. Interviews at a franchise location will be pretty basic with one interview, while corporate and managerial positions will be more in depth and potentially require two interviews. The questions below will help you prepare. What hours will you be available to work? Be prepared for this question with an in-depth knowledge of your own schedule and ideas of which hours will be best for you to work in your current schedule. But be sure to show the ability to be flexible when needed. This type of response will show the interviewer that you can take initiative and juggle a variety of responsibilities. What past experience do you have? List your most recent position first. If you are currently working, display an appreciation for your current job by speaking positively of your boss and the work. If this will be your first job, don’t fret. Be honest and speak with enthusiasm about any teams, organizations, schools, special training/certifications, and clubs that you have been a part of. What do you plan to bring to the company? The interviewer wants to hear about your strengths and what makes you unique. To prepare for this question, take an honest assessment of yourself. Are you a good communicator? Do you have any special training that will help in your role? How would former co-workers or bosses describe you? These will likely be your best answers. What do you consider to be your weaknesses? Think about something that is a true weakness, but something that you are able to overcome and give specifics on how you are working to overcome it. The interviewer is looking for signs that you are honest and able to assess yourself. For example, maybe you shy away from confrontation but have been reading about ways to strengthen interpersonal communication skills. What’s your management style? The right answer here will demonstrate your ability to strike a balance. For example, share that the ultimate goal is good customer service and a strong team relationship. You strive to achieve this by cultivating mutual respect with each team member, while maintaining consistency in daily operations. No one wants to work for a tyrant or a push over: Balance is the key. Do you want to know more about how to apply for Church’s Chicken online? First, go to their website to review available Church’s Chicken jobs. Take your time reading each job description and all interesting applications thoroughly and only apply for the ones you are capable of. Locate a printable application for Church’s Chicken or use the online application system. Once you receive a call for an interview, start prepping. Entry-level positions are much more informal and regular attire should be acceptable; however refrain from wearing anything vulgar or offensive. It is most important to have a positive attitude, bring a typed resume or printed Church’s Chicken application and be aware of your available hours to work. Corporate applicants will certainly face a more grueling interview process. Brush up your resume and make sure to highlight your work history. Dress in business attire and arrive early. When you meet the interviewer give a firm handshake, smile, and make eye contact. You will also want to research the company and show enthusiasm for more than just the job but what the company stands for. And, when it comes to interview questions, don’t be afraid to recruit a friend or family member to help you practice for your interview. And finally, when the interview is over, try to find out when they will be making their selection and express sincere gratitude and appreciation for their time. Even if you don’t get the job, you want to leave a good impression.